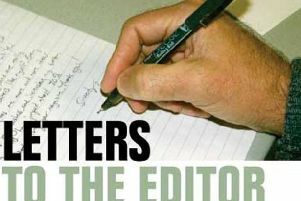 Scott Andrews has the right to his opinions about Martin McGuinness and James McClean, and he is entitled to voice them on the Letters Page (March 24). But he’s out of order when he says you shouldn’t publish James McClean’s tributes. Not only does this smack of censorship, but the more controversy we have in the Echo, so much the better. What a full paper of debate it would be. When McClean refused to wear the SAFC shirt with the poppy emblem, a lot of supporters wrote to the Echo attacking him. However, someone wrote in pointing out that McClean after all is an Irish nationalist from Derry where memories of Bloody Sunday are still raw, despite a belated apology from David Cameron’s government. Remember how shocking it was when British soldiers killed 13 innocent, unarmed civilians in January 1972. What always bothered me about the troubles in Ireland is that our armed forces have always had to side with the Unionists, Orangemen, and the back lane Protestants because they wave the Union flag. The idea that the Irish people have the right to govern themselves despite the Loyalist minority in the North flew out of the Downing Street window in 1921. I wish more English people understood that.